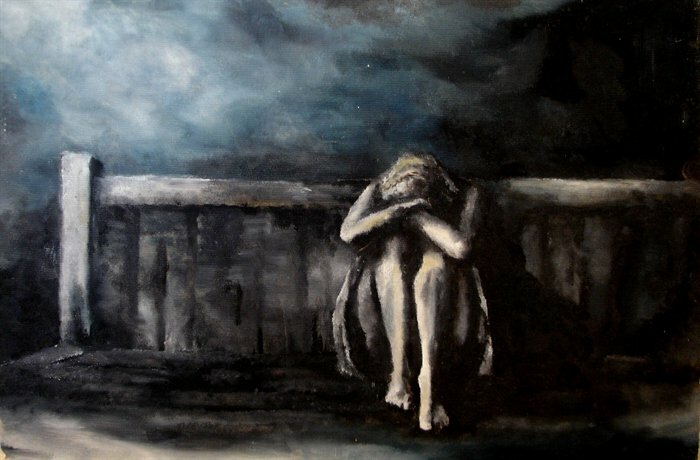 This entry was posted in Mental Health and tagged depression, hiding, isolation, Mental Health, sadness, therapy by Liza. Bookmark the permalink. Thank you for your comments, Deborah. I’m concentrating on small task to help me move forward. I have hope which is all you really need. Hi, Liza, Thank you so much for sharing this, because I can relate to it deeply! The past 5 years for me have been filled with change and stress, with a wide range of emotions and perceptions related to them. I often feel overwhelmed and the next thing I know, I’ve shut down. About 9 months ago I moved to a new city, with no physical friends or family nearby. I noticed after a month or two that I was living through distant realtionships, and felt somehow guilty about that. So I pulled back from those, spent some time refelcting and trying to “figure it out”. Then, with the New Year, I decided to make genuine effort to meet “live” people here in Jacksonville. While that’s going well, obviously these new friends are quite different from my other friends, and I have continued to feel a hollow box inside. So, a few days ago I decided to simply make the effort to revive my online relationships. I’m not sure how to describe my attitude towards it… On the one hand, I feel overwhelmed about wondering how I will find the time to do it all. On the other hand, I feel like it’s vital that I approach it like an alcoholic staying clean or a person dealing with depression: Just gotta keep it on the road, no matter what. Read and comment and post, no matter if I “feel” like doing it. Answer the emails. Find the time. Now, I’ve only been doing this for a week, and the familiar box is still in my gut, and I still sit here alone on a Saturday morning wondering if there is something “more importnat” that I should be doing, but the box feels much less hollow, and I’m very reviatlized to be in touch with familair loved ones. I wish you much happiness on your journey, and thank you again for sharing! Hi Leslee, Thank you for your comments. I am working on breaking things down into small tasks to keep myself from being overwhelmed. I appreciate you taking the time to share your experiences. I am so glad that I found you when you were on your way back and did not find your blog while you were still away! Because…. lately, as I have wandered around… I have found some of the BEST blogs by writers that haven’t written for a few years! I have found that writing is the best therapy NEVER feel intimidated. Most writers and readers that I have bonded with here are my greatest support system! There is something about putting our feelings into words that connects us! I am following! And am always here to talk! Thank you so much for your kind words and encouragement. I appreciate it so much.